Reports from the front lines of the Hurricane Harvey response in Texas have not been across-the-board rave reviews, to say the least. Complaints about broken promises and slowness are surfacing again, as they did after Hurricane Sandy and during other weather emergencies since. 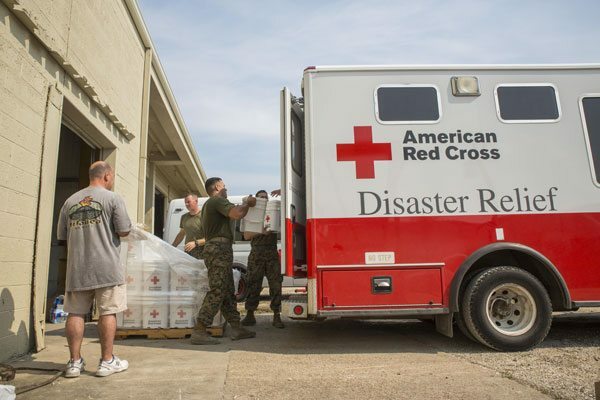 It is important to acknowledge that the American Red Cross (Red Cross) is only one actor—albeit a very important one—in any local response to a widespread emergency. Generally, the response includes local individual actors and institutions and a pre-existing network of government and private institutions. The ability to coordinate quickly is guided by preplanning to the extent possible, but many of those plans have the Red Cross’s participation written in. Additionally, the Red Cross is also the default donation site for disasters, so when it does not show up, local people react. ProPublica has taken a lead in a years-long investigative series, most recently reporting on the lapses in Texas by Red Cross, which reportedly included showing up days late to open a shelter, delivering spoiled food to the effort, and generally being so unreliable that they were ejected from one local disaster response center. For its part, Red Cross has claimed that ProPublica reporters are cherry-picking anecdotes from a necessarily chaotic landscape. Whatever one might think about the reporting, the base level of confidence in the American Red Cross among its local partners appears to be waning, undercutting the on-the-ground trust that the Red Cross relies on to carry out its work. One contributing cause is the Red Cross’s questionable strategy of consolidating and closing local chapters. These chapters anchored the Red Cross in specific localities, and no replacement strategy to garner greater efficiencies without sacrificing full coverage has appeared to gel. As a result, some areas of the country remain vulnerable to disaster due to a lack of local, Red Cross–based intelligence and mobilizing capacity. In January 2015, the Red Cross chapter that serves the Crossroads merged with another based in Corpus Christi, more than doubling the territory it serves. The Victoria chapter previously served eight Crossroads counties. Officials said then that combining the 19 counties would enable Red Cross to assist those affected by disaster while reducing overhead costs. Before the merger, there were between 250 and 300 area volunteers, but that number has dwindled to 15, according to one current volunteer.